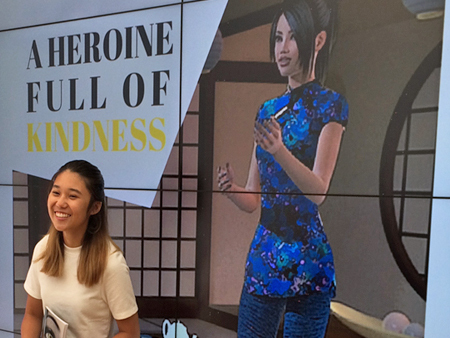 Teen girls discover their inner hero at MI9 Team Workshops. Workshop attendees learn about the MI9 Team superheroes, and what makes each of us unique as well. 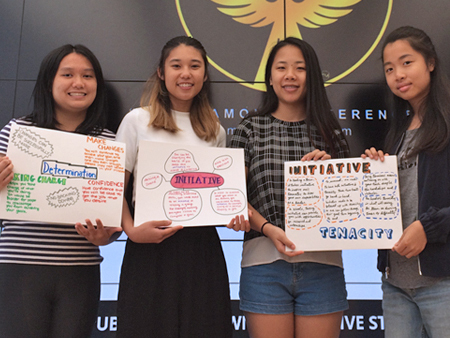 By exploring the qualities that define each MI9 Team superhero (multiple intelligences, character traits and social causes), participants learn to embrace the super powers within themselves. 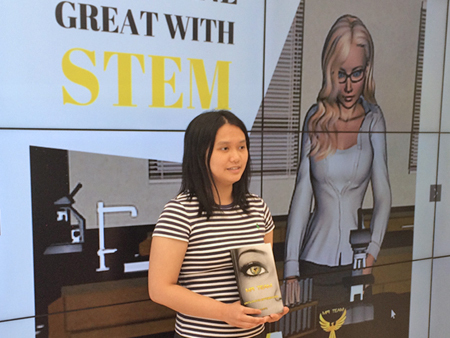 Empowered teen girls, inspired by female superheroes. 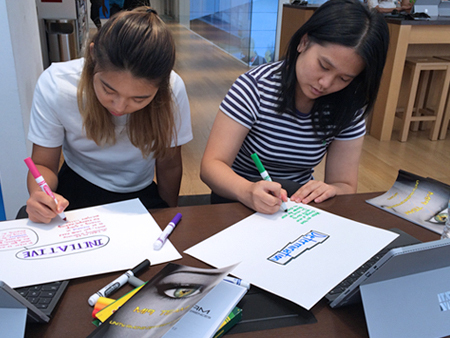 Exploring their tenacity, determination and initiative - just some of the many character traits embodied by MI9 Team superheroes. 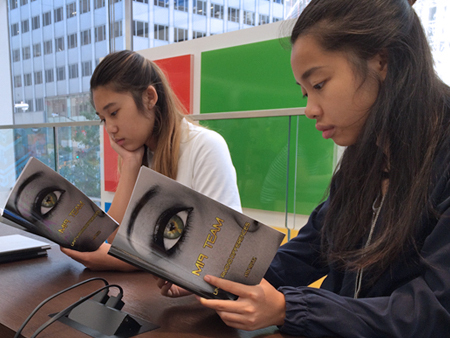 Members of the book club read MI9 Team. 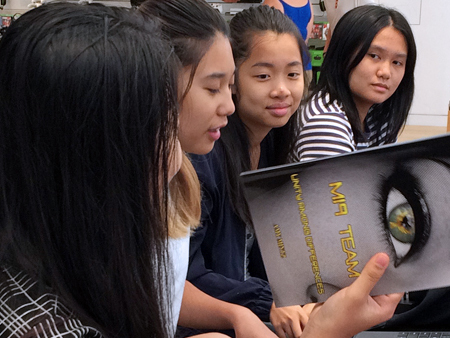 Teen girls discuss talking points from the MI9 team book. 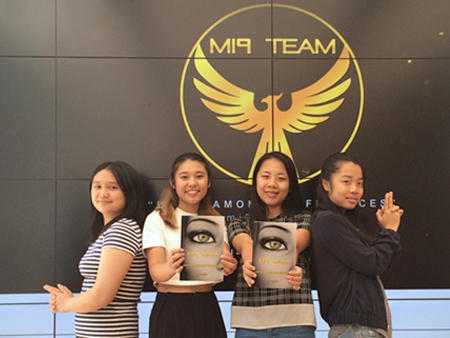 Girls relate to different MI9 Team superheroes, based on their multiple intelligence, character trait and/or social cause. 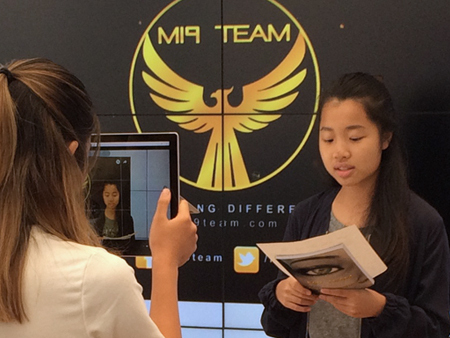 Multimedia at the MI9 Team Workshop. Creating posters about character traits that describe them and their MI9 Team superhero. 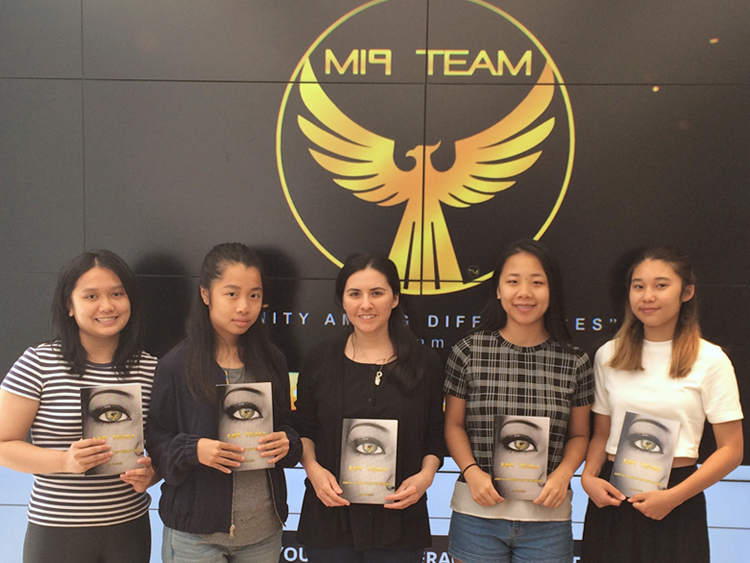 eGirl Power Founder and MI9 Team Author Amy Mintz at MI9 Team Workshop with youth attendees. All donations are tax deductible to the full extent allowed by law.